The burgh of Forres was founded (probably) around 1150 during the reign of David I, as part of a scheme for the Normanisation of Scotland pursued by the house of Canmore. Of course this has nothing to do with Macbeth mormaer of Moray in the royal bloodline of the Cenel Loarn. 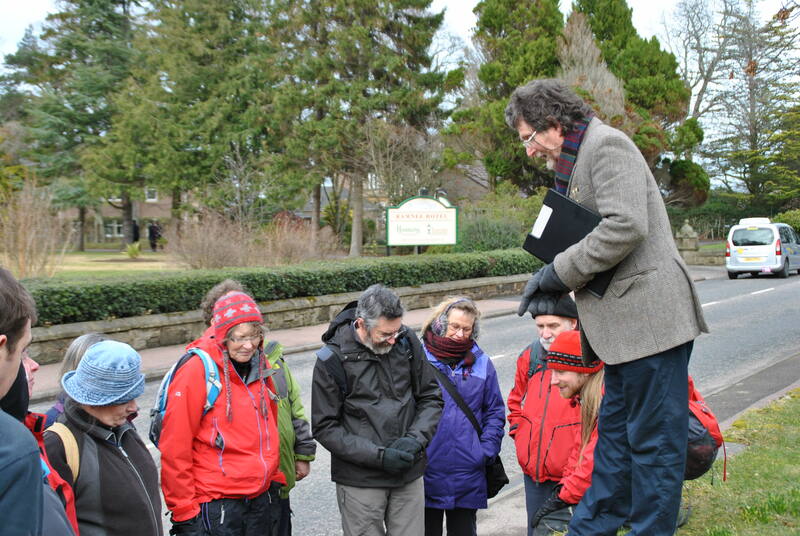 Persistent myth located Macbeth in Forres. But we shall not mention Macbeth. A royal castle stamped the impression of Canmore royal power at the head of the royal burgh: a motte (partly artificial, sculpted from a bluff above a kink in the Mosset) with a bailey still evident in property boundaries below the motte. Or did Macbeth occupy a royal hall here a century before; or even a motte built under the direction of his Norman follower Osbern Pentecost? But we do not mention Macbeth. Royal mottes dominate each royal burgh in the chain of new towns that secured Canmore power in the northern province: Cullen, Banff, Elgin, Auldearn, Inverness, and a little later, Cromarty and Dingwall. Notwithstanding this assertive royal presence Moray remained uneasily attached to the kingdom of Scotland and resentful of Canmore power. A series of rebellions asserted the independence of the ‘men of Moray’ down to the 1220s. Anglo-Norman power in Scotland was underpinned by foreign immigrants. Norman lords supplanted native chieftains. And the king’s burghs were populated with foreign carpetbaggers from across the Anglo-Norman world – from England, Wales, Normandy, Picardy, Brittany and Flanders. The newcomers were encouraged with the grant of a toft in the town, access to arable land in the environs, and privileges in local and foreign trade. The burgh high street extends from the castle gate. The broad thoroughfare of the ‘King’s causey’ served as a public space for Monday markets; and also for annual fairs lasting eight days, beginning at noon on the eve of St Laurence place for weekly markets. Trade (after political control) was fundamental to the burghal purpose. Burgh merchants enjoyed monopolies on foreign trade at the port of Findhorn – specifically on staples including wine, wax, hides, wool and cloth; also monopolies on local trade within the burghal hinterland – notionally a radius of 6 miles + 1/3 mile + ½ of 1/3 mile. A gate (port) closed the roads into town at the north, south and east; and here tolls were collected on goods brought to markets, and undesirable characters (unsupported women, lug-marked criminals, sturdy beggars) were excluded. The high street extended some 400 yards east to west, laid off with forty-eight feus on each side. The feus (roods, burgages, tenements) each measured exactly 25 ft 6 in wide (measured by the king’s Anglo-Norman liners using an English rod of 16ft 6in). [ii] Each house stood gable-on to the street, facing east into a private close. The door of each house opened into the close, with a view to the blank back wall of the neighbours house. Burgh regulations obliged each tenementer to build a wall marking the western boundary of the feu and extending the full 395 ft length of the feu from high street to back lane. The walls, the house stances, the orientation of properties remain today. Turf and timber are replaced with stone, but burgh court records demonstrate the fastidious care with which litigious burgesses defended their boundaries, or paid fines for encroachments – opening windows and doors onto the street; turning houses ‘to the street’; or moving building lines forward. The parish kirk (St Laurence – with perhaps an earlier association with Maelrubha of Applecross) occupies half-a-dozen feus on the north side. The NOSASers, weary after a mile of talk and town trail, buy pies and sit in the lee of the church. 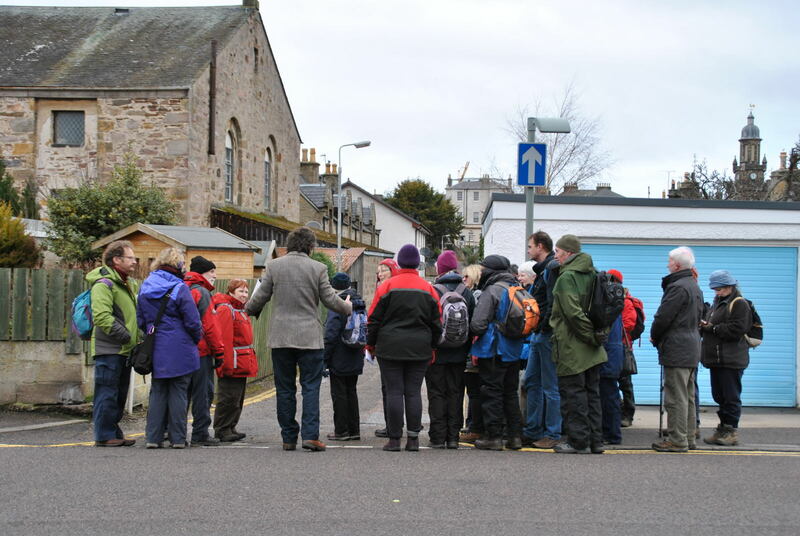 Archaeological NOSASers relish the knowledge that the kirkyard is raised head and shoulders above the high street by the burials of twenty generations of dead Forresian. Fastidious NOSASers try to forget descriptions of the ‘mephitic gas and offensive effluvia’ arising from the crowded burial ground to offended Forresian noses and sensitivities in the 1820s. 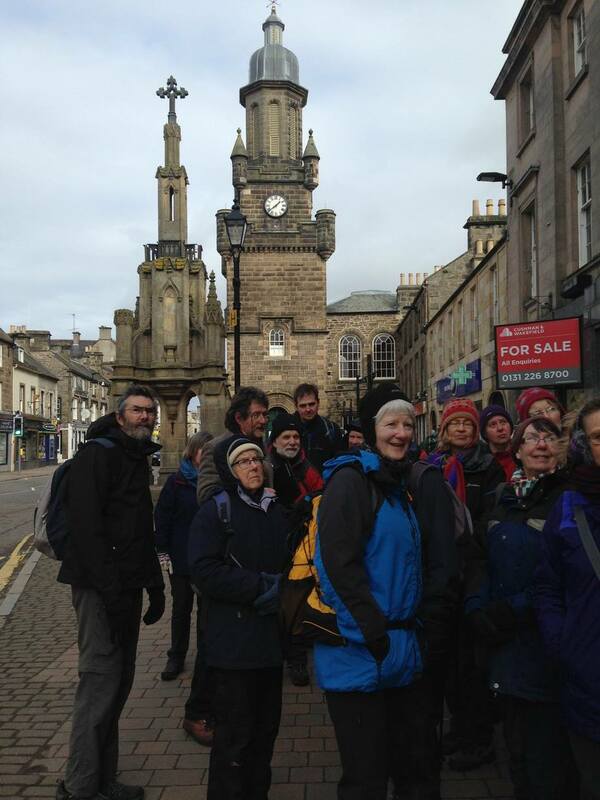 The high street broadens where the Tolbooth holds back the building lines. The present Tolbooth (around 1838) is built was designed as an architectural homage to a predecessor tower. And, like its predecessors, it contained a prison, treasury, courtroom, council chamber and archives. The mercat cross (around 1840) contains, relic-like, a fragment of an older cross. And so, with a brief pause to visit the town’s museum (The Falconer) – and toilets – we make it to the west end where the masonry arch of the burgh port (demolished at the end of the eighteenth century) marked the extent of the liberties. Burghal NOSASers seem pleased with progress thus far, declaring “It’s just like Dingwall/Inverness/Nairn.” And so it should be. We might add that a burgh built to the same template is being revealed by excavation at Old Cromarty (the fragment that has not been devoured by the sea). And there should be something similar at Auldearn (sacked and abandoned following the MacWilliam rebellion against King William (the lion). But there is still more to do – beyond the burgh (geographically and temporally). Two burly boulders – one red one grey – attract accretions of witchy legends. But arguably, with a third companion lost in the 1930s, these are the remnant of a stone circle. And nearby was a sacred pool that probably served as a trial and drowning place for the burgh – and possibly a pagan ritual place before. Above looms the bulky mass of Cluny Hill, topped with a monument to poster-boy hero Admiral Lord Nelson, and crowned with a major Iron-Age hillfort. 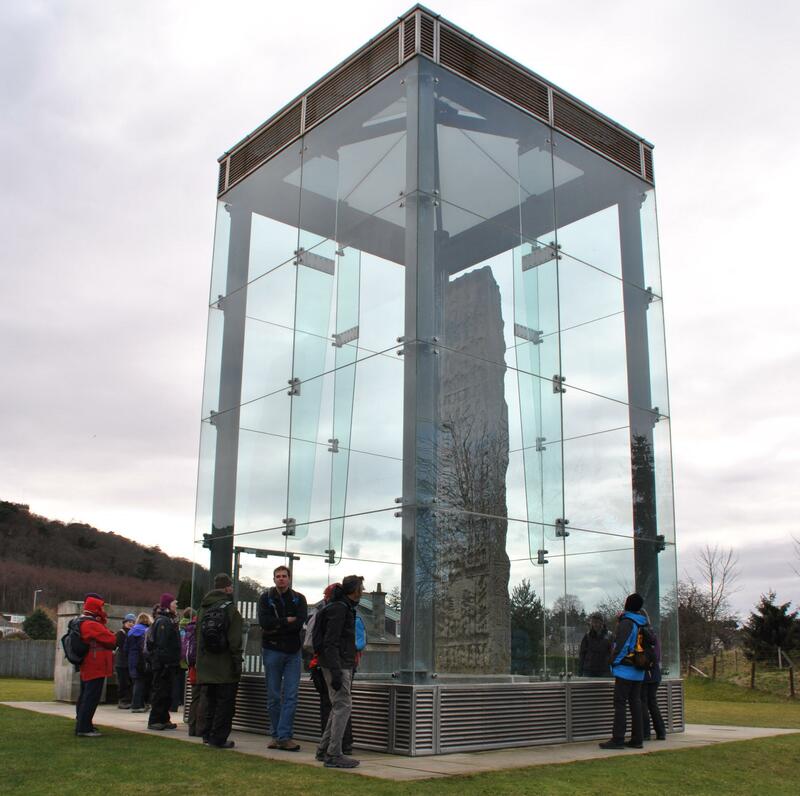 And then on to Sueno’s Stone. 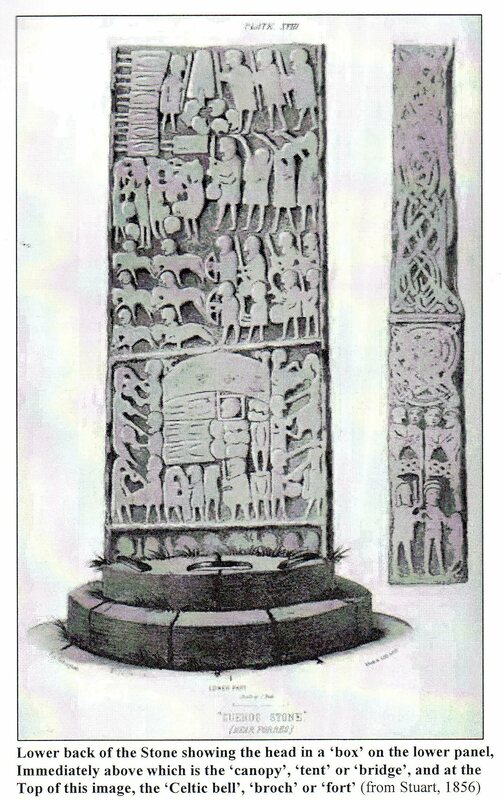 The largest – and strangest – of Pictish stones. Ninth century probably. Without Pictish symbols. Friezes of warriors and horsemen. A fight and a flight. Seven headless corpses. Seven severed heads. A glorious interlaced cross above the inauguration of a king. Does this iconography relate to the extinction of Pictland (conventionally seven kingdoms) and the acclamation of the MacAlpins as Kings of Alba? And if so, why here? Why not? Where better? We come full circle in our burghal investigation. Moray is now thought to be the proper location for the focal Pictish kingdom of Fortriu. So where were the kingly caputs of Fortriu? 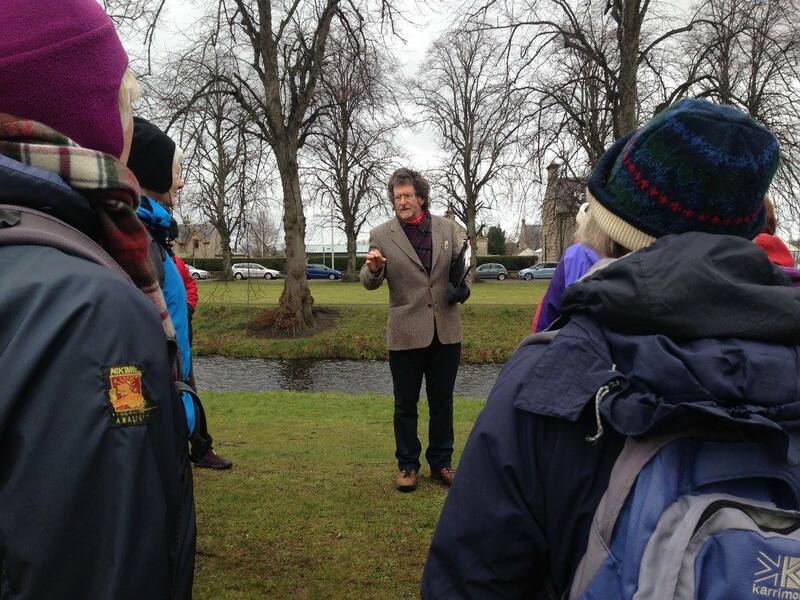 Why not here at Forres where tradition locates Scottish Mormaers of the Cenel Loarn? Perhaps that royal heritage influenced David I in choosing Forres for his new burgh. Certainly a large handful of early medieval kings were killed in Forres. A king was hardly king unless he could be accepted by the men of Moray. King Donald son of Constantine was killed by the ‘men of Moray’, in Forres in AD 908; and Malcolm I in 959. The killing of King Dubh here in 965 disrupted orderly succession until Duncan I was killed nearby, allowing a proper succession by Macbeth, the husband of Grouch who traced her pedigree to Dubh. Be that as it may, time presses. Tea time. And another toilet break. We retrace our steps. 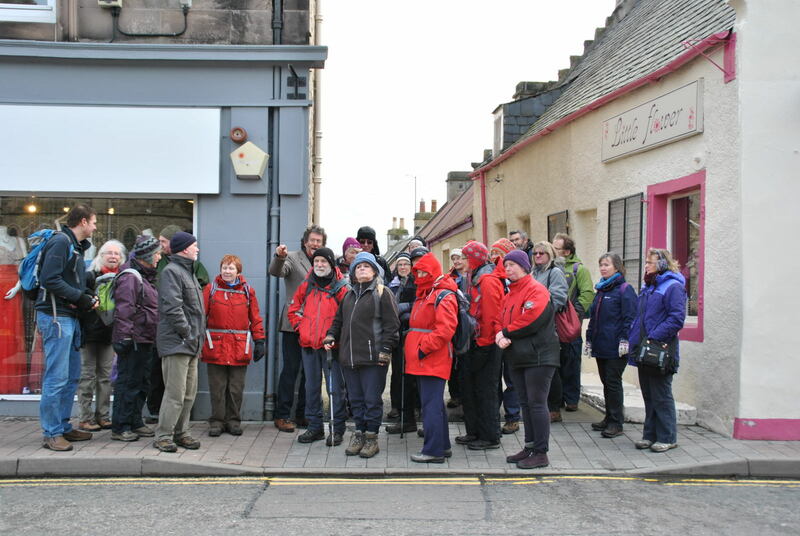 The NOSAS expedition needs to gather data on the Forres cakeries. I allow NOSAS to treat me to tea and cake. Tea, cake and history. Everything a lapsed archivist and irregular archaeologist could wish for. And, history apart, Forres does provide exceedingly good cake. 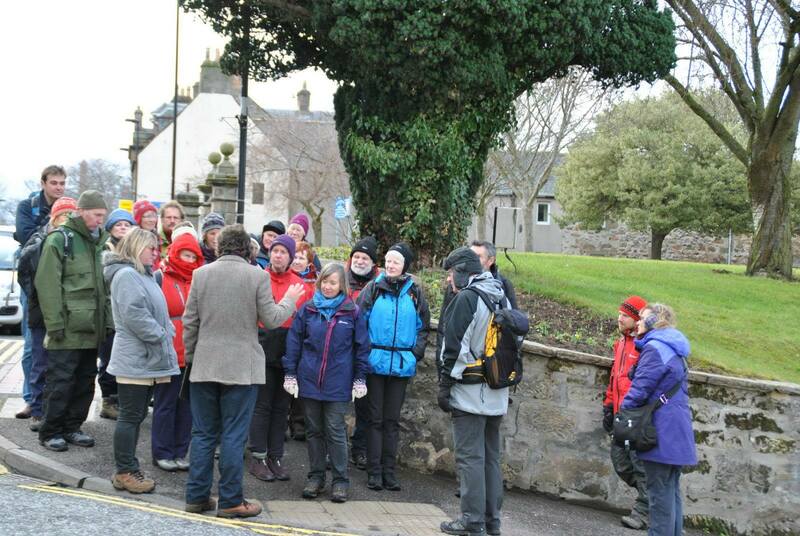 Many thanks to Christine Clerk and Lachlan McKeggie for the photos. Above: Some 1856 drawings which show the Sueno’s Stone carvings more clearly – click to enlarge. A 3D laser image of the stone by Historic Scotland can also be seen here (thanks to Meryl Marshall).